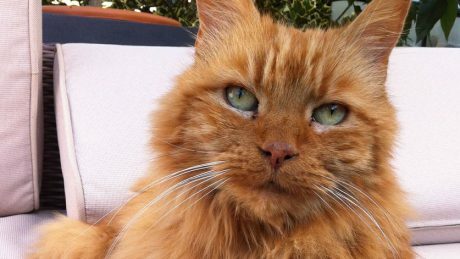 Majestic Maverick is a seven-year-old cat who loves a cuddle and a fuss. Having spent Christmas in care he is now waiting to find his forever home in the new year. 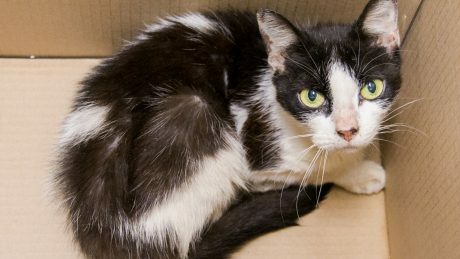 This sweet little cat was brought to us in a cardboard box and was apparently found hiding in a cul-de-sac in East London. She had never been seen in that area before. Rolo featured in Pete's column in the Telegraph earlier this year. Rolo is a super friendly 6 year old boy and loves to cuddle. He was found as a stray in someone's back garden. 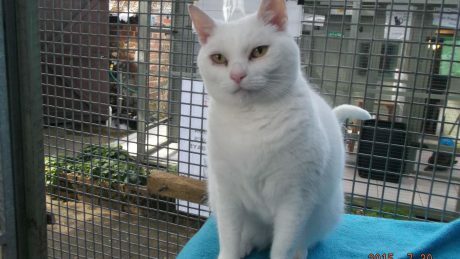 Angel featured in Pete's Pet Subjects column on Saturday 25th June 2016Meet Angel. Angel is a very sweet 6 year old chap. 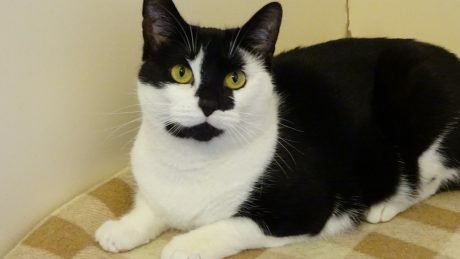 Milly featured in Pete’s column on Saturday 27th August 2016 Milly from Cats Protection’s National Cat Adoption Centre (01825 741330) After nearly one year in care, Milly is in desperate need ..
Wendy is a lovely black and white cat. Wendy featured in Pete's column earlier this year. Powderpuff is a beautiful fluffy completely white cat. Powderpuff featured in Pete's column a few months ago. 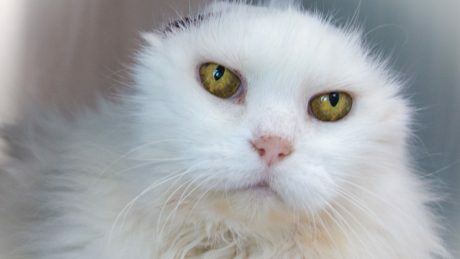 Powderpuff is a beautiful fluffy completely white adult female cat. Trebor and Millie featured in Pete's column on Saturday 2nd July 2016. Miazey featured in Pete's Pet subjects column on 21st May 2016. 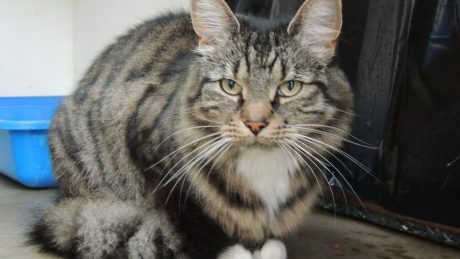 Maizey is a sweet, energetic four-year-old cat that absolutely loves chasing lights on the floor. 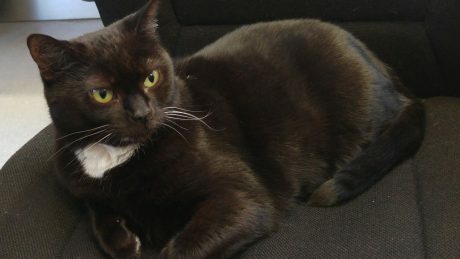 Daisy and Muffin, two 6 year old cats. Daisy and Muffin featured in Pete's column in the Telegraph earlier this year. Poppy is a very loving 7 year old cat. Poppy featured in Pete's column in the Telegraph on Saturday 19th March 2016. 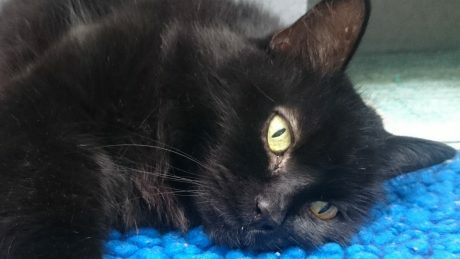 Cassie is a friendly 8 year old cat. Cassie featured in Pete's column in the Telegraph on Saturday 5th March 2016. 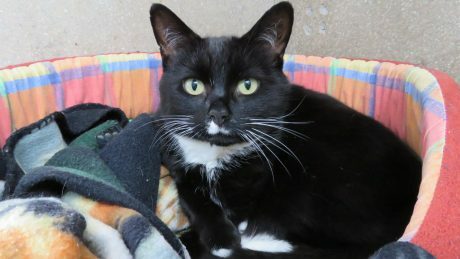 Cassie is a friendly playful cat who loves people and lots of attention but she is also a very contented kitty. Charlie, an 18 month old cat. Charlie featured in Pete's column in the Telegraph last year. 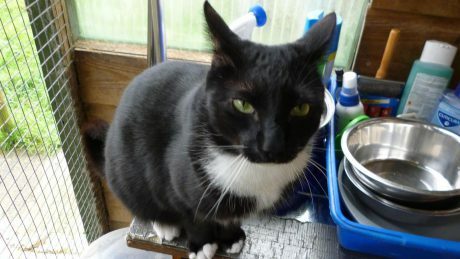 Charlie is a lively 18 month old black and white cat. He is full of energy and is very chatty. Boysie, an 11 year old tabby cat. Boysie featured in Pete's column in the Telegraph in 2015. 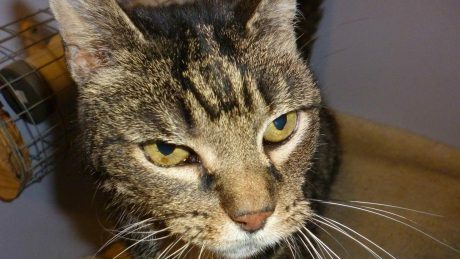 Boysie is an 11 year old tabby cat and has been with us for a year. 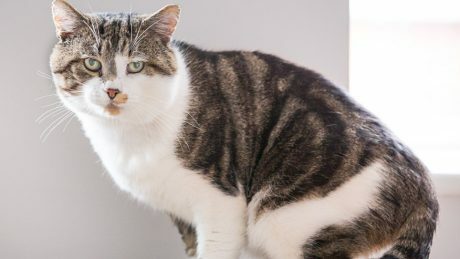 Dudley, a tabby and white shorthaired cat. Dudley featured in Pete's column in the Telegraph on Sat 9th January 2016. 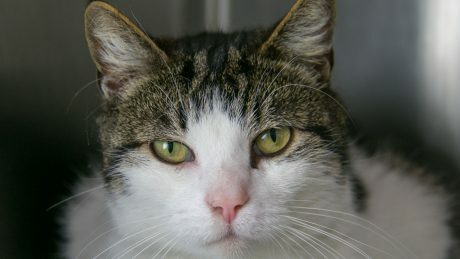 This handsome lad is four years old, tabby and white shorthaired. 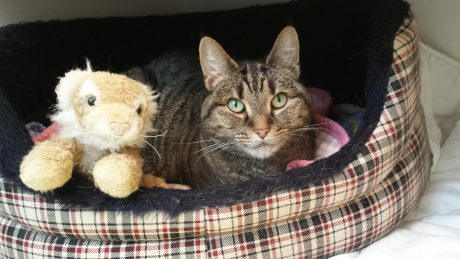 Lacey is a 7 year old tabby. Lacey featured in Pete's column in the Telegraph on Saturday 31st October 2015. 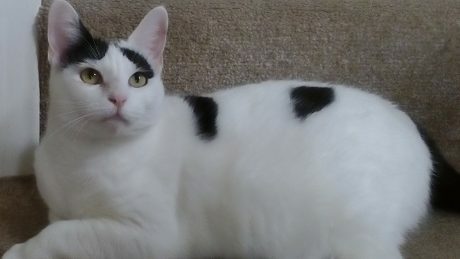 Fleur is a 20 month old tortoiseshell/white female cat. Fleur featured in Pete's column in the Telegraph on Saturday 14th March 2015. 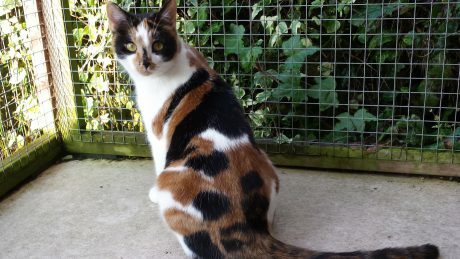 FLEUR is a 20 month old tortoiseshell/white female. She is very playful and affectionate and likes to sit on laps. 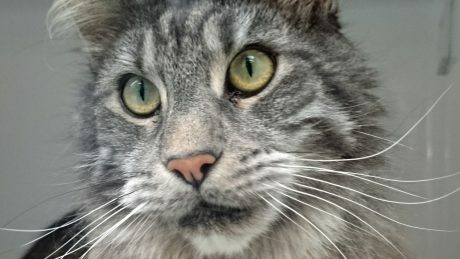 Handsome Percy is a 13 year old cat. Percy featured in the Telegraph earlier in the year. 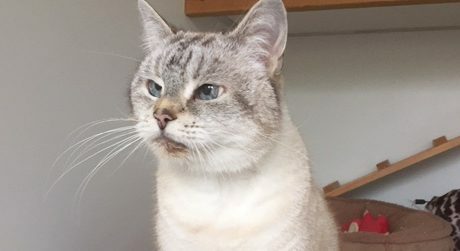 Handsome, older gent Percy is a 13-year-old moggy looking for a new home. He is laid back, sociable and intelligent and enjoys getting to know people.